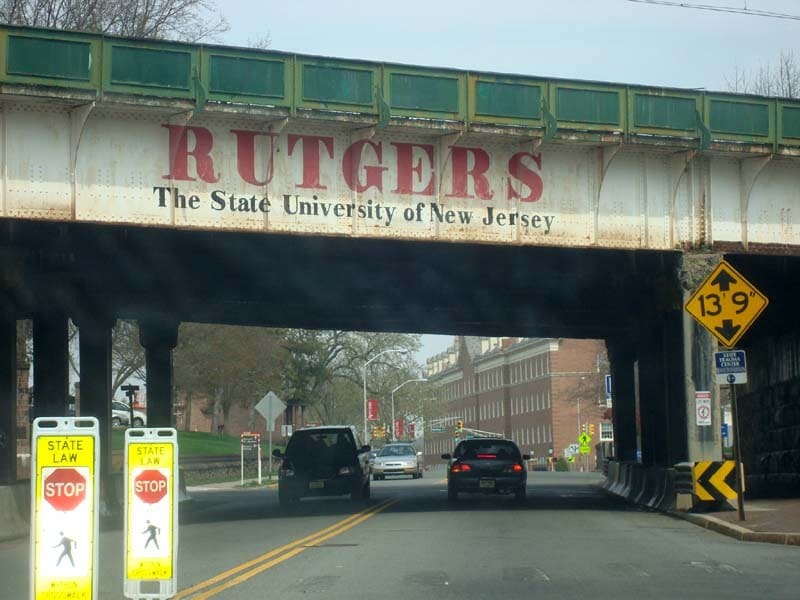 Earlier this summer I had a chance to visit a friend in New Brunswick, New Jersey, home of Rutgers University. I haven’t had a chance to fully report on my trip (aside from featuring the Rutgers grease trucks as a Quirky Attraction), so here goes. New Brunswick is the home of Rutgers University, so a lot of the businesses cater to students. The area nightlife, as you might expect, featured lots of bars. While I’m generally not a fan of college bars, Ale ‘n Wich Pub was awesome. It’s a dive bar with a friendly atmosphere, a jukebox and a foosball table! Foosball is always a winner, in any situation. 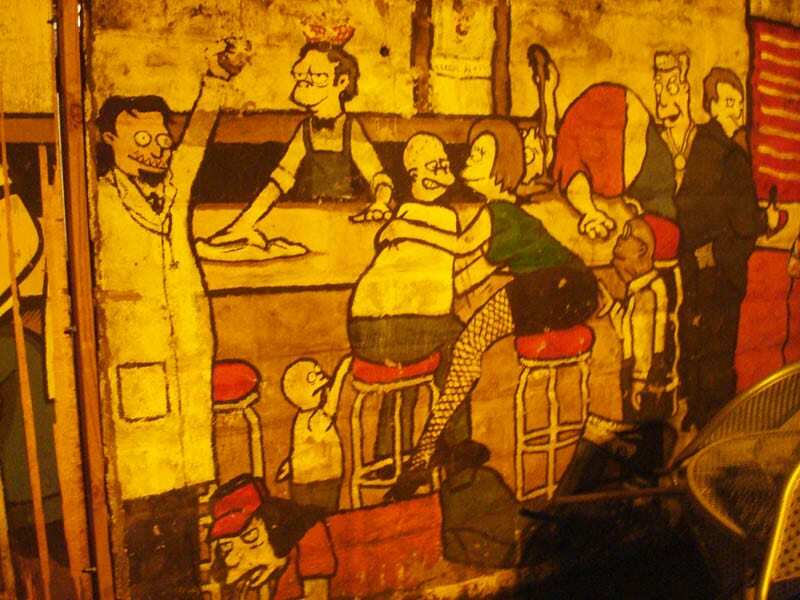 They also have a giant Simpsons mural on the back patio that depicts Moe’s Tavern. Nature is a vital part of any trip. 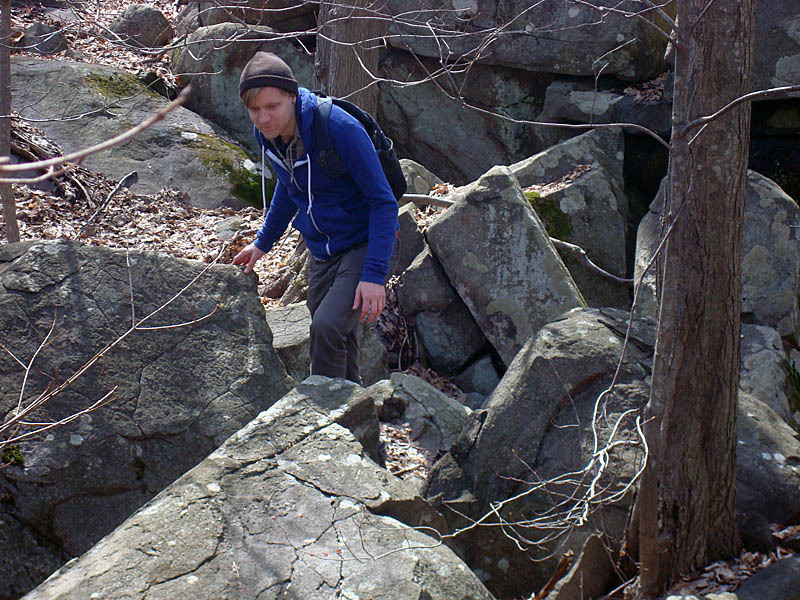 The biggest local nature attraction was the Sourland Mountain Preserve. From its website, I thought this would be a modest, ho-hum hike, but it was a lot more fun than that. Parts of the hike were uphill, and it turns out there are huge boulders near the trail that date back 180 million years, back when the area was underwater. Climbing around on the ancient rocks was an unexpected bonus. 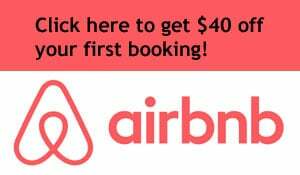 What are some other cool things to do in New Brunswick? Let’s talk food. Every trip must include a few meals at local restaurants. 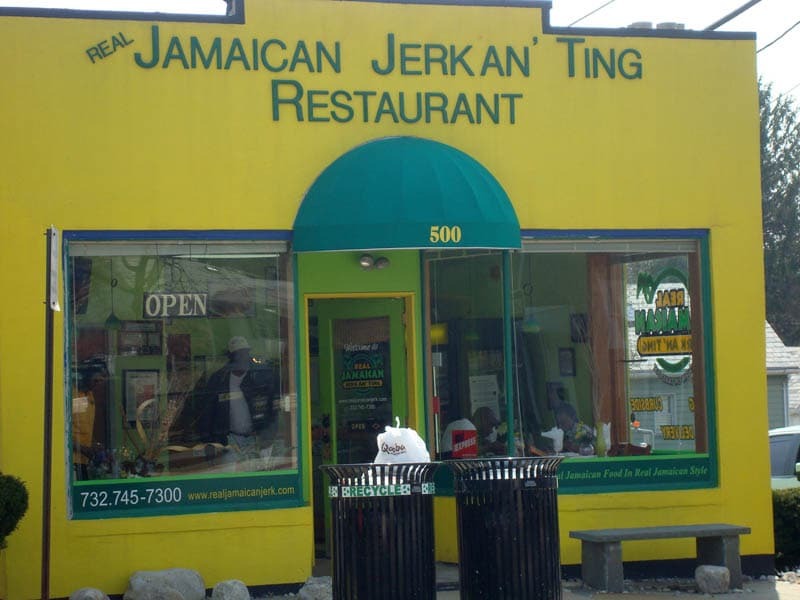 In addition to the grease trucks we went to a place called Jamaican Jerk An’ Ting for authentic ethnic cuisine. 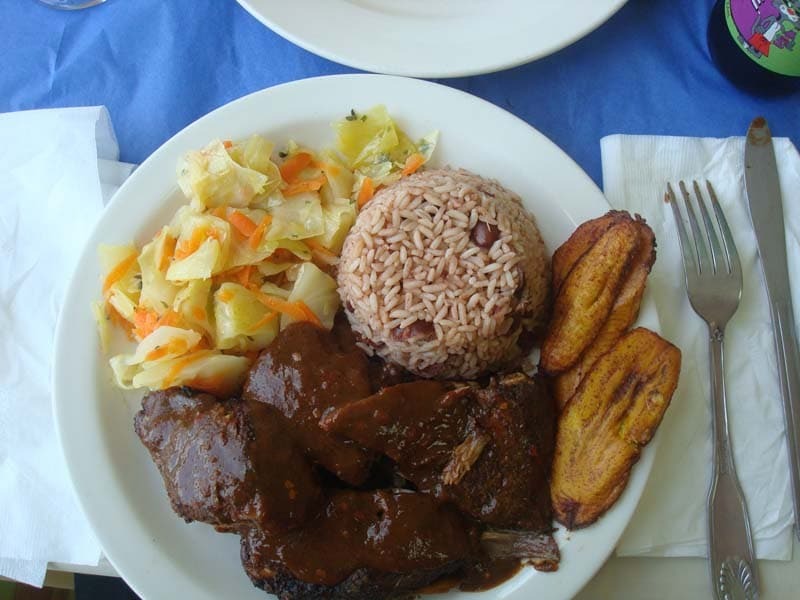 Jerk chicken, cabbage, rice and beans… good eating! 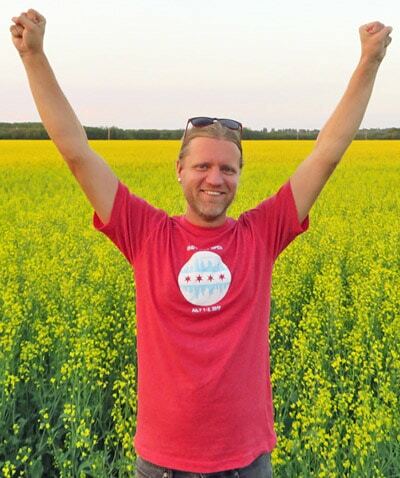 For me, travel is always about getting to experience the local way of life, the local culture. That’s true whether I’m in some foreign town or even somewhere as un-exotic as central Jersey. Places like this restaurant help me do that. I finished off the visit by playing my favorite sport while traveling – disc golf. 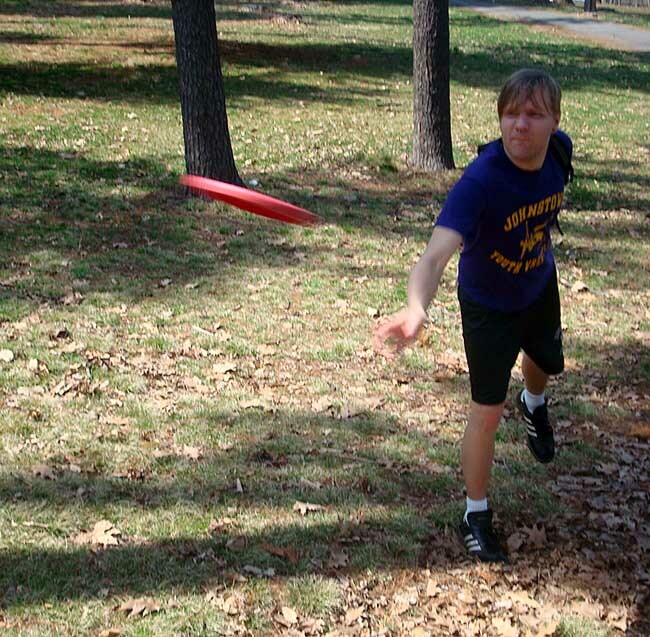 Rutgers has a frisbee golf course right on its campus, and it’s pretty challenging. Part of the challenge was simply figuring out where the next hole is – we had to wander around quite a bit on a few occasions to find the next tee. There were probably a lot more fun things to do in New Brunswick, New Jersey, but my visit was short and my priority was hanging out with my friend rather than being a big tourist. Nora at The Professional Hobo spotlighted my trip to the Garden State in her Week-in-the-Life Travel Series. For more detail about the NJ trip, take a look at that feature. I hope that Jamaican restaurant offered Ting. It’s very refreshing. Hmmm Lisa, I’m not familiar with that one. I have always loved New Jersey. My grandpa actually went to Rutgers and is always bragging about it. I absolutely love the Simpsons Mural! Great article. Also, I used to teach a Frisbee golf course at the ranch I worked on in Arizona–such a fun “sport”! Teaching frisbee golf, that’s pretty sweet! If we ever meet up, we should play a round! I love universities and hiking! Rutgers is THE state university in New Jersey so it would be interesting to see. I’ve always loved college campuses. I have a good friend that loves to play frisbee golf. I’ve never played but we have a dew courses around here. Frisbee golf is my favorite travel activity! I always like to visit college towns. Although there are many similarities (like lots of bars), they’ve got their own vibe. Haven’t been to New Brunswick, NJ yet. Sourland Mountain Preserver sounds like a cool place to visit, too. College towns are fun to visit. I’m not sure I’d want to live in one. Who would have ever thought a trip to Jersey would be so enjoyable! LOL Ale ‘n Wich sounds like a great fun place and the Jamacan food made me hungry (I just ate breakfast). It’s cool to find the fun in random places.